Brewing a cup of coffee is as much of an art as it is a science. During the brewing process, hot water acts as a solvent, dissolving the soluble solids in the coffee grinds into the brew. In other words, when dissolving sugar with water, sugar is the soluble solid. Brew methods that use paper filters have mostly soluble solids in the cup since they are bonded to the water molecules. On the other hand, brew method such as French Press utilizing Stainless Steel filter mesh allows for soluble as well as insoluble solids to pass through into the brew. Insoluble particulates are suspended in the liquid and eventually precipitate, settling to the bottom of the brew over time if the liquid is not disturbed. The suspended insoluble solids in the French Press coffee not only add character to the brew, but also make for a full-bodied tasting cup of gourmet coffee. 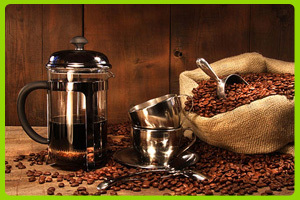 This is why coffee connoisseurs the world over considered French Press one of the best way to brew a cup of gourmet coffee. Our product the Solofill Cup replicates the same brewing process as the French Press. With deep tub design and bottom positioned Stainless Steel filter mesh allow for the coffee grinds to be fully steeped in the hot water, resulting in a rich and full-bodied cup of gourmet coffee. If you love the taste of French Press Coffee, we invite you to experience a steeped to perfection cup of gourmet coffee with our most unique and innovative Solofill Cup. Do not overfill coffee above the indicated maximum fill level as this may leave coffee grinds clinging at the lip preventing the O-ring from making proper seal. Do not under fill coffee below the filter screen line. Hot water once entered inside the Solofill cup can exit to through the filter screen before steeping with ground coffee, resulting in a weak & watered down cup of coffee. It is OK to LIGHTLY tap the Solofill cup on the table to settle and level the coffee grinds. However, do not tamp or pack the coffee as this may clog the filter screen. Grind your coffee just before brewing. If all possible, use a quality burr grinder. Use only filtered water. If your water does not taste good, neither will your coffee. Consume your coffee soon after brewed. Experiment with different grind level between coarse and fine to fit your taste. The finer the grind, the richer your brew will be. Avoid fine espresso grind as this may clog the screen filter. The Solofill Cup can be washed with water and dishwashing detergent, or in the dishwasher. Keep the Solofill Cup clean! Old sediments can easily make for a rancid cup of coffee. A good rule of thumb is if you smell an odor from your Solofill Cup, wash it. If you cannot recall the last time you washed your Solofill Cup, go ahead and wash it. With the lid still closed, turn the Solofill Cup upside down and firmly tap the lid on a counter top. Open the lid and the entire coffee puck should fall out with a slight shake. Rinse the inside of the cup with water.